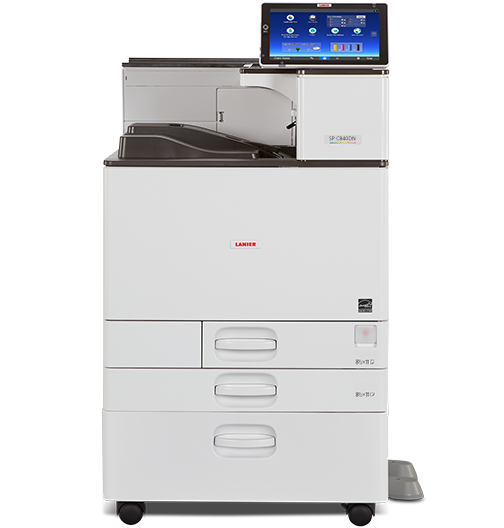 Use the SP C842DN Color Laser Printer to print high-quality direct mailers, brochures, labels, point-of-sale displays and more in house in less time for less money. Transition between jobs quickly with print speeds up to 60 pages per minute (ppm). Stock up to 4,700 sheets to work continuously with fewer delays. Optimize user productivity by checking printer status from across the room with an available Attention Light. Replace toner and consumables in moments without technical assistance.